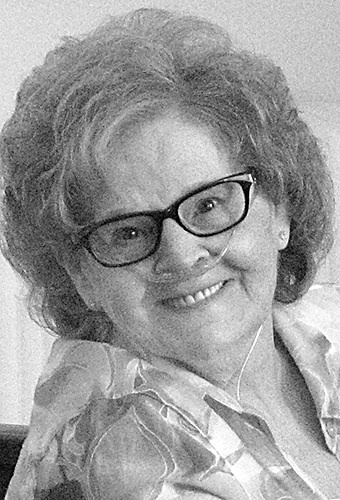 Margaret Helen Jackson-Briggs, 83, of Weirton, WV died Saturday September 1, 2018, at her home. Born January 10, 1935, in Wetzel County, WV, Margaret was a daughter of the late George and Gladys Thomas Jackson. She was also preceded in death by her grandson, Nathan Yoder; her two brothers, Ray Jackson, an infant brother, and her sister, Wanda Moore. Margaret is survived by her husband, Elvin Wayne Briggs; her two daughters, Tammy Briggs, (Gregory Gumm) and Teresa Yoder (Rick) all of Weirton; her three grandchildren, Jeffrey Yoder (Christina), Eric Yoder, Hannah Elliott (Arick); great grandchildren, Emma, Layla, and Ryan Yoder and Calvin Elliott. Private family visitation and services were held Tuesday at the Greco-Hertnick Funeral Home, 3219 Main Street, Weirton. Entombment followed in Chapel Hill Memorial Gardens Mausoleum.